Yay I get to break in a new forum! Anyhoo, I'm obsessed with Taobao and I haven't even placed my first order yet! I'm working with TaobaoEnglish, and thankfully my agent is Mark. He's being very patient with me and working hard to insure that I'm getting exactly what I want. The biggest hurdle? Fang. I'm trying to purchase a Fang bag through Taobao because she's cheaper on Taobao/PaiPai, I don't have to deal with her and her bad attitude directly, and I can pay through my preferred method of Paypal. Apparently she's giving my agent a hard time, telling him that the bag I want isn't available, when five minutes earlier she quoted me a price. REALLY Fang? So typical of her! Please share your experiences about Taobao here! There really was nothing at the other forum, but RC has a huge backlog of FAQ Taobao information that I found to be incredibly helpful, and probably would not have figured out the inner workings of the site without it. Would love to have that kind of information available here for our members. I'm sorry that Fang is giving you a hard time with the bag you want! Ugh, I hope it works out! I'm just happy we can freely and openly discuss Fang here without her coming in and screaming at all of us. For now. She can blacklist me AFTER I get my mono bag. My order is nearly ready, but Mark is trying to get through to Fang one last time. If she keeps up her toddler-like behavior, I'll just buy what's in my cart and bite the WU bullet and order directly from her. I find that the more time I spend on Taobao, the more comfortable I am with navigating it, even with Google Chrome takes too long translating. mscg wrote: I'm just happy we can freely and openly discuss Fang here without her coming in and screaming at all of us. For now. She can blacklist me AFTER I get my mono bag. Google Chrome is a lifesaver! Even though the direct translation is slightly off, you get the gist of it! Hearts >> Diamonds >> Crowns. THANK YOU for that chart! I was wondering, I figured that hearts meant lower tier, but could not figure out the difference between diamonds and crowns. 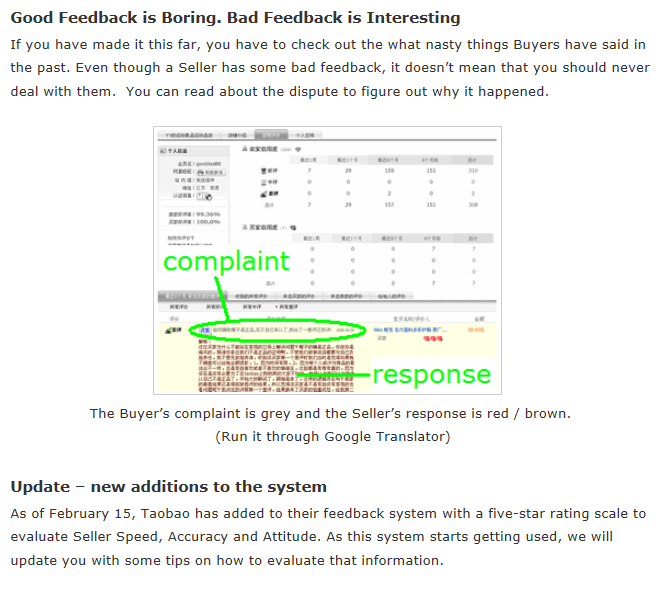 I know it's very crucial to look at a seller's reputation/ratings/comments before taking the plunge. 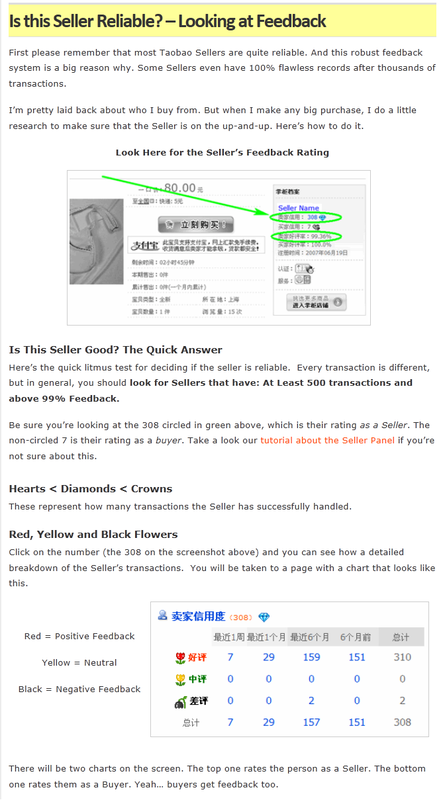 Also, some of the Taobao agents suggest that buying multiple items from the same seller will save more $$$; sometimes, this information is listed on the seller's page as well. There's a seller on Taobao that I'm pretty sure shares her supplier with Fang. Her pics are AMAZING. Merchandise is a bit more expensive than Fang though, especially when you figure in agent fees and such. 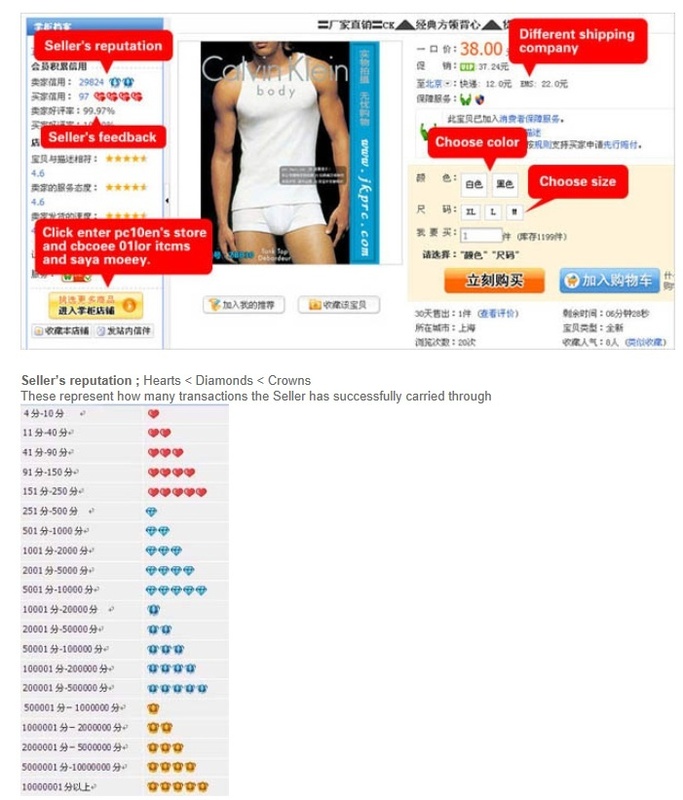 mscg wrote: There's a seller on Taobao that I'm pretty sure shares her supplier with Fang. Her pics are AMAZING. Merchandise is a bit more expensive than Fang though, especially when you figure in agent fees and such. That's great! All those extra fees that gets tacked on at the end are so annoying! They might small amounts, but they do sure add up! I ordered a few pieces of jewelry, and resisted the urge to save a few dollars by buying one pair of earrings from one seller while getting a bracelet from another. I haven't found any site with cheap designer scarves and bag charms though. The only thing that's tough about Taobao is figuring out the code names they use for designers, such as C*anel, or whatever. mscg wrote: I ordered a few pieces of jewelry, and resisted the urge to save a few dollars by buying one pair of earrings from one seller while getting a bracelet from another. Well what finally pushed me to Taobao was looking for Tory Burch reps, and realizing that I would have to pay $90 just to get a decent pair with no stitching on the side. Or a pair of Chanel flats for $70 just so it would have the bow in the proper place. Also, I like that the agents will take detailed pictures of the merchandise before shipping it. I specified NO STITCHING on the side of the shoe, and if it has it, they can send it right back. The way I figure it, the savings for Taobao comes when you add a bunch of little pieces to the order which won't affect shipping costs. That's the one thing that irritates me about some of our sellers like Joy, is that she charges the same to ship a wallet that it costs to ship a handbag. Serious discrepancy. mscg wrote: Well what finally pushed me to Taobao was looking for Tory Burch reps, and realizing that I would have to pay $90 just to get a decent pair with no stitching on the side. Or a pair of Chanel flats for $70 just so it would have the bow in the proper place. Also, I like that the agents will take detailed pictures of the merchandise before shipping it. I specified NO STITCHING on the side of the shoe, and if it has it, they can send it right back. I agree with Joy's outrageous shipping; I've asked her in the past if she ever plans on giving any sort of a discount for bulk purchases, but she said that she has never done that in the past, and most likely not going to happen in the future. If the agent sends the item back, I do believe they charge you a ground shipping fee - just make sure, since I remember from the agent that I was asking questions on the process, he mentioned that he can always replace the items until I find the one that I am satisfied with, but for every item being sent back, there will be a local ground shipping charge added to the bill. Really? I will email Mark about that now and ask him. The domestic shipping charge wasn't that much, but I don't want to pay more than I have to because the sellers pictures weren't honest, accurate representations of the merchandise. I just wanted to update you guys on my Taobao situation. I paid approximately $52 in shipping charges for a handbag, earrings, necklaces, a purse charm, and a pair of shoes. So, around $150 total. Not a screaming hot deal, but I'm happy with what I paid for all that I got, especially the shoes and the bag charms. I originally had two pair of shoes, but the Chanel flats they sent to TE were GHASTLY and dirty with scuff marks, wrong bow placement, and seams on both sides. I told Mark they were not as the seller described and to please send them back. I didn't have to pay any domestic shipping fees for that. 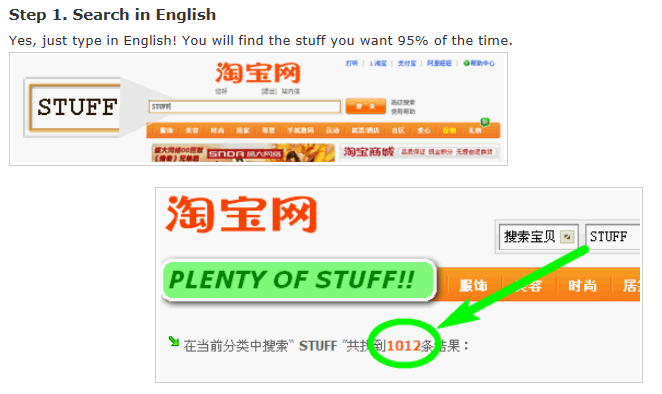 Taobao English is good, but their fees are really high, and I feel like they could have been a lot faster. I am currently placing a very small order with Bhiner, and in less than a few hours they've already gotten back to me on stock availability. They have a smaller agent fee so I'm saving money there too. I will report back on Bhiner when I'm done negotiating. mscg wrote: I just wanted to update you guys on my Taobao situation. I paid approximately $52 in shipping charges for a handbag, earrings, necklaces, a purse charm, and a pair of shoes. So, around $150 total. Not a screaming hot deal, but I'm happy with what I paid for all that I got, especially the shoes and the bag charms. I just wanted to let you guys know that Bhiner is AMAZING. I placed my order on 12/13, got my tracking number the next day, and the item arrived on the 20th! I was not even expecting it before Christmas, so to get it so quickly made me . I ordered stuff from regular American department stores and it didn't arrive that quickly. It took WEEKS for TaobaoEnglish to get my order from the cart to my doorstep. I'm so impressed with Bhiner. And since I wanted the shipment asap, I asked him to make a judgment call on the quality of the merchandise, and he did not fail me. It came in excellent condition and just as the seller described. I don't have pictures because it is a gift and I can't have it out and open around my husband, but I will have them posted the day after Christmas! Is 'Bhiner' an agent with Taobao English? No, Bhiner is a completely different Taobao agent site. I like this site better than Taobao English for several reasons--the shipping was super fast, the agent fee is half of TE at 5%, the customer service was better with Bhiner, and the site is laid out a lot better than the Taobao English site. In some ways, Bhiner made shopping Taobao a bit easier. I'm already adding stuff to my cart for my third order. I probably won't buy anything until the end of January though, once I pay off all of my holiday shopping bills. 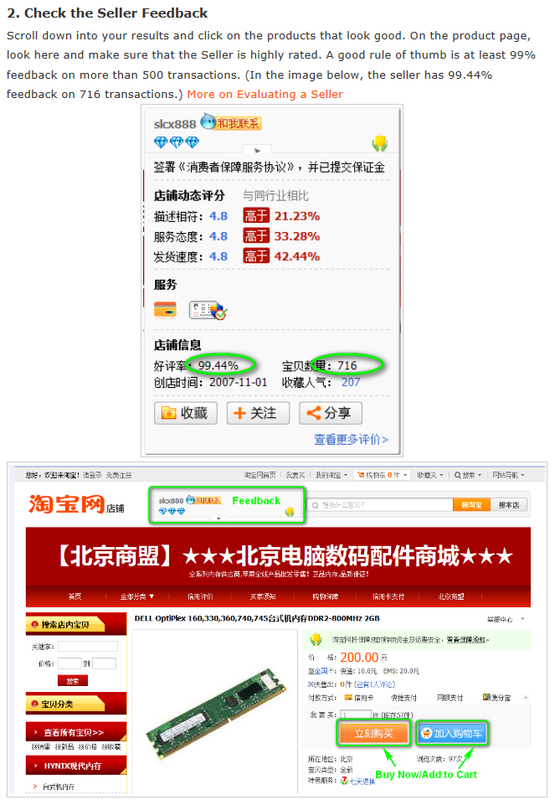 mscg wrote: No, Bhiner is a completely different Taobao agent site. I think I might be taking a plunge with Taobao with Bhinder soon. So far, Bhiner has responded to all my questions in a timely fashion, which is so great. You're right, mscg, the customer service is pretty good! I'm planning on ordering some coats (finally taking a plunge with the Monclers) and some Burberry for myself and the hubsters. There are also other 'novelty' items that I found way cheaper compared to Ebay and such (car accessories, contact lenses case, etc.). I'm just trying not to 'rush' it and read all the 'feedback rating' left by the sellers' previous customers and try to get that darn sizing right! Some clothing items are suggested to get an XXL for my husband and I know that the Asian sizing is way off/runs smaller, but come on, XXL?! I'm so, so scared of buying clothing off of Taobao, because of the strange Asian sizing. We have quite a few Asian stores out here, and I swear I always have to go up a few sizes...and then randomly, something in my size will actually fit the way it's supposed to! I think I might order one thing from a seller, just to test them out. And make sure it's something I can have adjusted if need be. Bumping this up because I just placed a DOOZY of an order through TE. Shoes, wallets, clothes, jewelry, glasses. I decided to go with TaobaoEnglish over Bhiner because I found out that Bhiner is charging more per item than TE. It seems that they've found other ways to make up the price difference in agent fees, and I don't think that's cool at all. Plus, their shipping fees are kind of astronomical. I paid $50 to get a pair of earphones through Bhiner, but I paid that much for an entire order of shoes, bags, and other things from TE. I don't know. Bhiner has better customer service and faster shipping, but I wish they would stop the gimmicky 5% agent fee if they're going to charge us more per item than TE. I won't deal with them simply because I feel like they're being dishonest to customers. mscg wrote: Bumping this up because I just placed a DOOZY of an order through TE. Shoes, wallets, clothes, jewelry, glasses. Wow, good thing to know - I started making a list in the cart on Bhiner some time ago, but never went through with it, since I either kept finding things on Taobao, or kept replacing some of the items I've had in my cart. Can't wait to see your big haul!! !